ATMC educational journey started as a series of teaching institutions in major cities of the Indian subcontinent that provided a pathway for students into higher educational facilities. 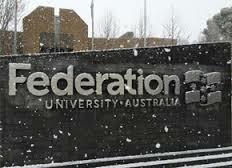 v It is Australia’s only regional multi-sector university. v It is the third oldest site of higher learning in Australia, and offer secondary schooling, technical and further education (TAFE), higher education, and research opportunities. v It has seven campuses, located at the Mt Helen, SMB and Camp Street campuses in Ballarat and at Horsham, Stawell Gippsland and Ararat. v It has 7 campuses across the Northern Territory, Melbourne and Sydney. v More than eight hundred international students from 55 different countries study at the Casuarinas campus in Darwin. ATMC provides job placement assistance in which complete guidance is provided in terms of resume preparation, mock interviews, etc.